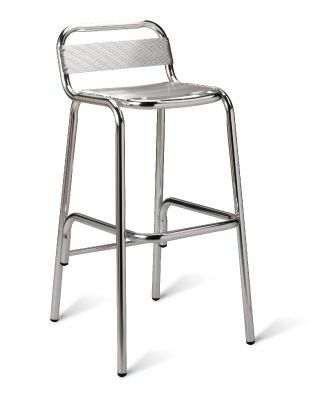 Outdoor Aluminium bar stools with a curved back support. Stable four leg frame with an integral foot rail. Available from stock for a fast and free delivery.